Details of the photo shoot for Infinite are emerging, which took place in December 2016 in Hamburg. Yes it’s a port city, but there is a big long estuary where they must have set up (we used to love this part of the journey when we travelled in on the ferry back in the 80s, usually for Purple gigs in Germany funnily enough! Sadly the ferry no longer goes into the port.) 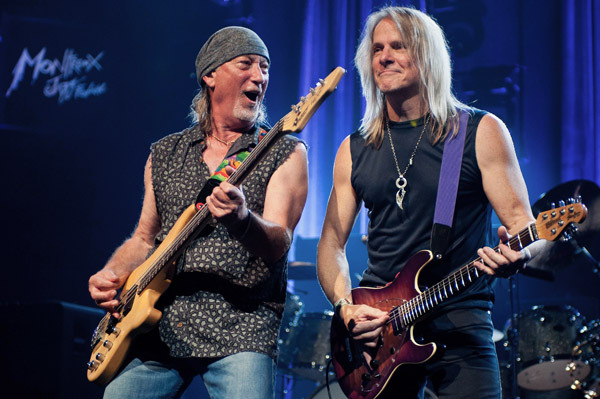 Roger Glover has been explaining (to Billboard magazine) that the entire package and concept came from the record label rather than the band. They have now issued a behind-the-scenes video of the shoot alongside the single track Time for Bedlam (in Billboard jargon a “focus track”! Thanks to Tim Summers. 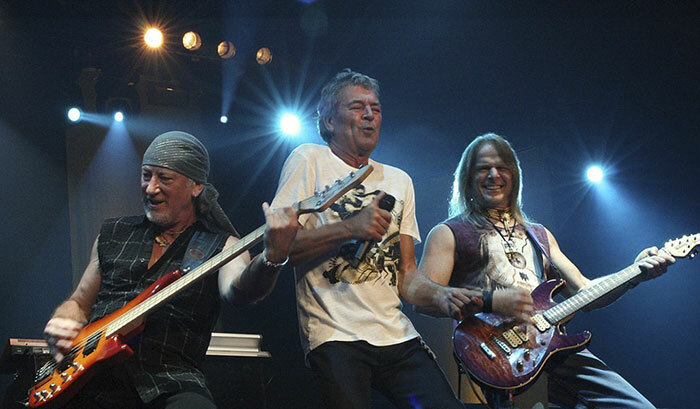 It is now confirmed that Deep Purple’s Infinite world tour will be their last. “The Long Goodbye Tour” is how it is being billed. Eagle eyed fans noticed that flyers for one of the French festivals in June 2017 had the words “Final Tour” underneath Deep Purple’s logo when it was first posted, but that they disappeared from a second flyer. We decided not to mention it here as there must have been a reason for this. However since then, Spanish site Metal Circus has reported that they contacted the band’s management direct and were told this was indeed the band’s last world tour. We learned a few weeks back that Ian Gillan envisaged this would be a two year trek on the back of the new album, so it looks like they have planned to plan for the end. On the up side, this might not preclude them getting it together once in a while to not tour, but just play a few specials. Inevitably with the reflective album title as well, it all makes a lot of practical sense, especially given Ian Paice’s health scare earlier this year. Even so, seeing those words on the flyer inevitably brought a lump to the throat here at DTB towers this morning, a feeling we’ve not had since Jon Lord set out on his farewell tour with the band. Still, announcing the news does mean that fans can also plan, and dates for the tour are just beginning to emerge and include a number of festivals next summer. We will start to post them on our 2017 Diary page. 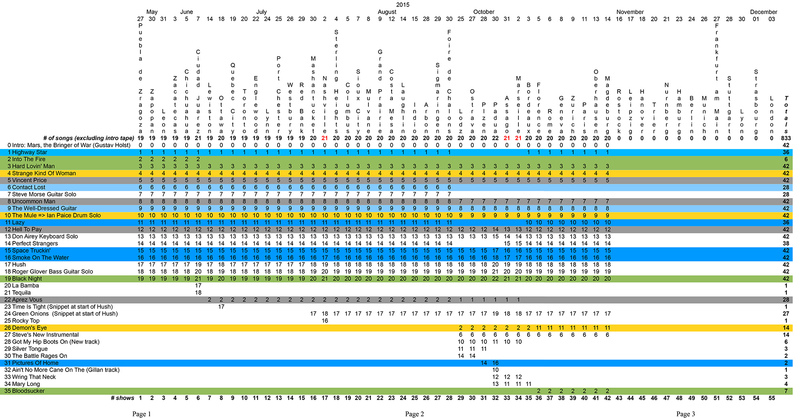 This post was updated on Dec 1st once the tour title was known. 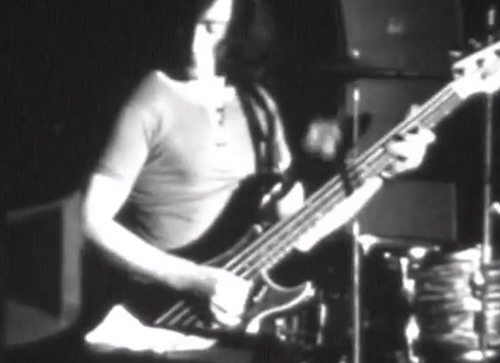 Don’t get too excited when we say this is a newly discovered clip of Deep Purple Mk 2, as it is very very short, silent, monochrome and blurry. But it is always tantilising to see early scenes of this line-up live, just a few weeks after the Royal Albert Hall do. It’s part of a short 16mm film made to record events at the University of Surrey’s Rag Week, which includes fund raising goodies such as a Mile Of Pennies, girls in bikinis jumping in buckets of water for money (and they reckon the ice bucket challenge was new! ), and then on to the week’s big concert on November 28th in Guildford, Deep Purple, supported by Bridget St John, Horse and Quintessence, with the Black Sun Light Show. Tickets 16/- (or a quid on the door). The Uni archivists say the soundtrack has been lost and needless to say any unused footage is missing. Thanks to Dave Browne for spotting it.